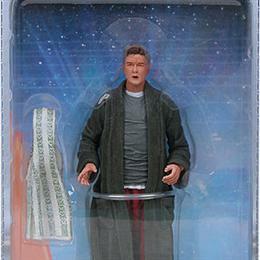 Paul Kostrzewa's MIB Action Figures Collection - Collected It! 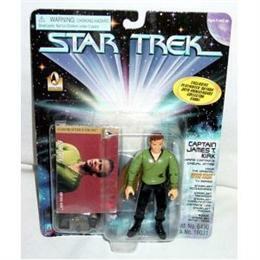 Carded Captain Kirk in his casual wrap-around tunic for Star Trek: TOS. 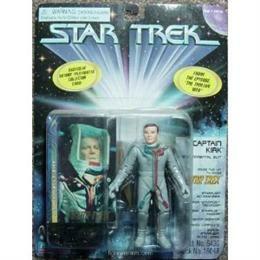 Carded Kirk in environmental suit from Star Trek: TOS. 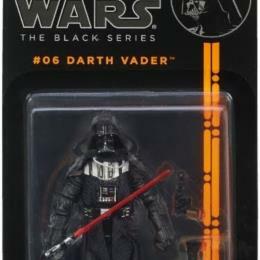 My wife bought me this for Christmas when it came out. 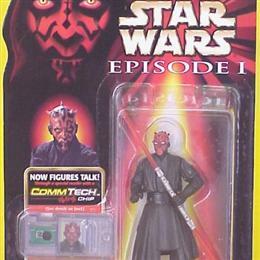 Carded Darth Maul from Star Wars: The Phantom Menace. 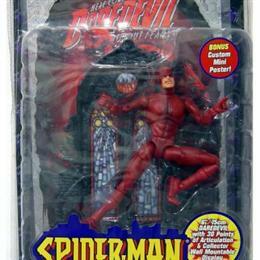 Purchased new in 1999. 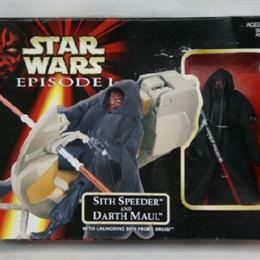 Mint in box Darth Maul with Sith Speeder vehicle. Purchsed new in 1999. A Christmas gift from a co-worker during our office secret santa event... not a bad gift at all! 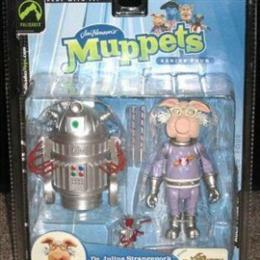 Mint in box Dr. Julius Strangepork from the Muppet Show - Pigs in Space. 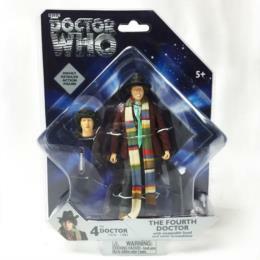 Fourth Doctor "Pyramids of Mars"
The Fourth Doctor Who (played by Tom Baker) with swappable head and sonic screwdriver. Mint on card. 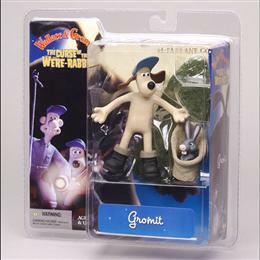 Gromit pose 1 from Curse of the Were-Rabbit. 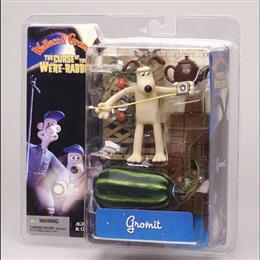 Gromit pose 2 from Curse of the Were-Rabbit. 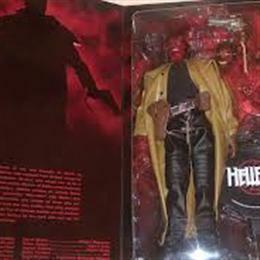 Limited Edition Ron Perlman as Hellboy 18" action figure in window box display. Mint, unopened. 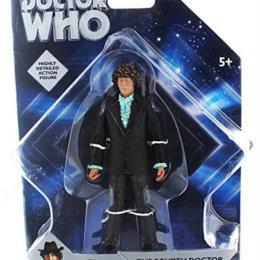 Mint in Box Arthur Dent from The Hitchhikers Guide to the Galaxy movie. 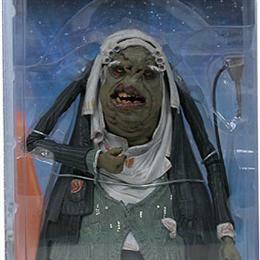 Mint in box Vogon Jeltz from The Hitchhikers Guide to the Galaxy movie. 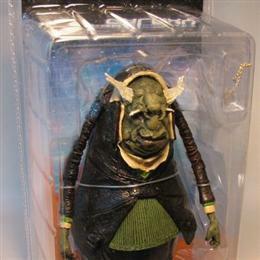 Mint in box Vogon Kwaltz from The Hitchhikers Guide to the Galaxy movie. 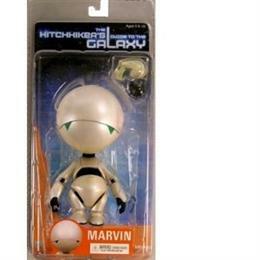 Mint in box Marvin the paranoid android from The Hitchhikers Guide to the Galaxy movie. 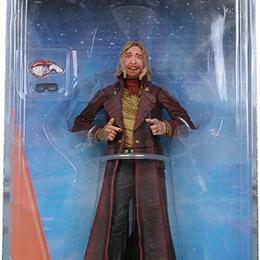 Mint in box Zaphod Beeblebrox from The Hitchhikers Guide to the Galaxy movie. 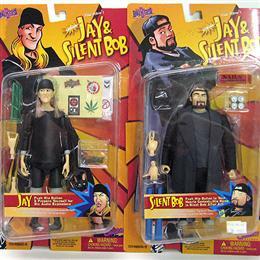 Mint carded Jay and Silent Bob figures. 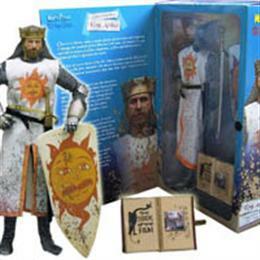 Mint in box King Arthur muddy version from Monty Python and the Holy Grail. 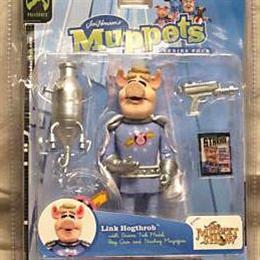 Captain Link Hogthrob from the Muppet Show - Pigs in Space. 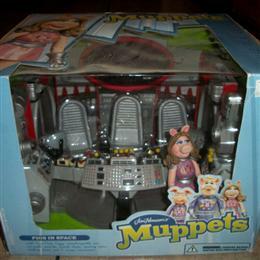 First Mate Miss Piggy and the bridge set from the Muppet Show - Pigs in Space. 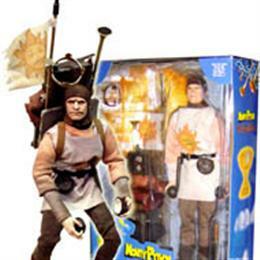 Mint in box Patsy from Monty Python and the Holy Grail. 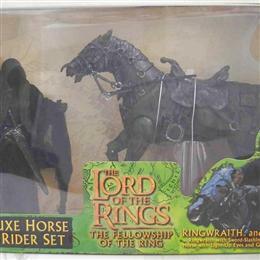 Ringwraith Charger Deluxe Horse and Rider Set by Toy Biz. Green box. Mint in box, never opened. 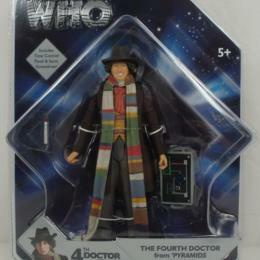 These are all of my Mint in Box action figures. 36 / 1 with Est. Val.